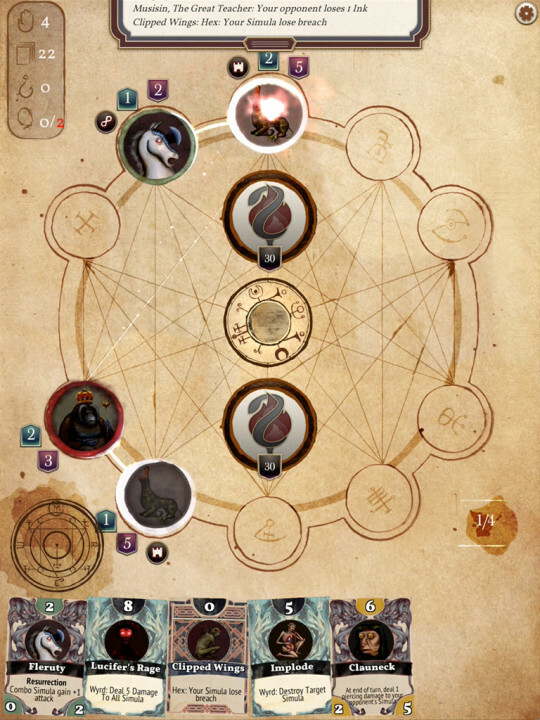 I am absolutely falling in love with a new collectible card game on iOS called Rival Books of Aster that just came out (although it seems like it’s currently only available in the Canadian App Store). The gameplay is sort of a cross between Hearthstone and Magic: The Gathering, while still feeling original. The first thing that I found striking though was the overall aesthetic, which includes the card art, all coming off as medieval in style, and quite different from what we usually see from these games. It features a really nice tutorial to teach you how to play, which I’m now getting to the end (the last four steps are to play full matches with a deck based on each of the 4 Houses in the game). Really looking forward to playing much more of this, and I hope I’ll get some friends on board as well. Funny thing is, I hadn’t heard anything about this game, and was led to it by a promotional tweet in my timeline.